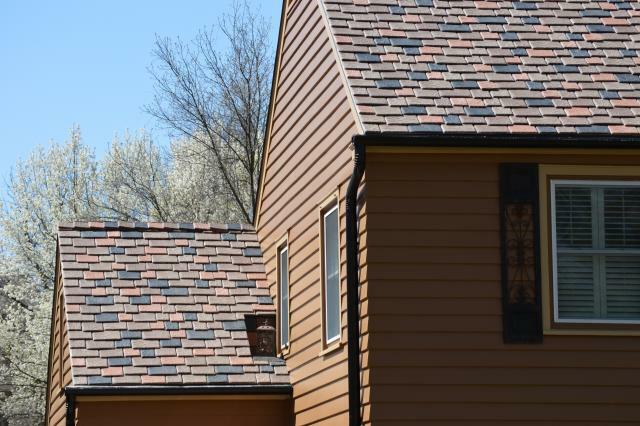 Designed to have a “European Cobblestone” feeling, four earthy colors of polymer roofing tiles staggered on the Craig’s roof create an inspiring pattern. 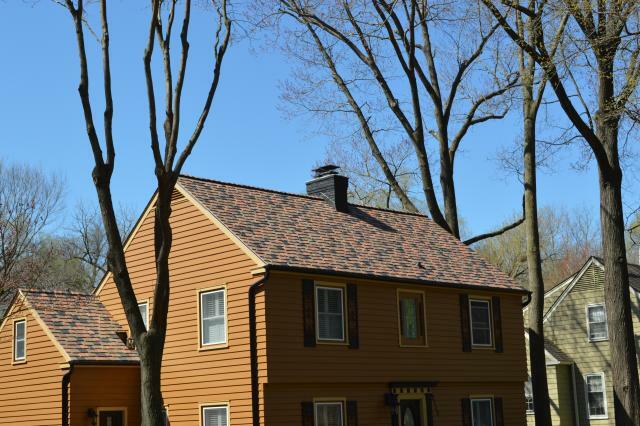 By using a custom blend of Light Clay, Medium Light Autumn, Medium Autumn and Black, the homeowners were able to make an exterior design statement with their roof and work “from the top down” to add color to their home. Bellis and his team removed three layers of old asphalt shingles (more than 1,000 pounds per square) and the original wood roof layer. With the blank canvas of the roof to fill, the Epic Exteriors workers then installed the colorful Multi-Width Slate roofing tile to get the look desired by the Craigs.